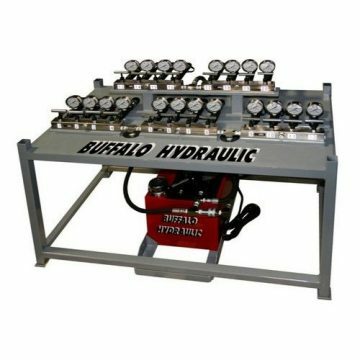 Our available products come with a variety of features and specifications which can all be customized for your needs. 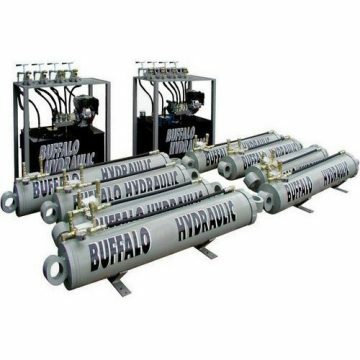 We have a variety of single acting, spring return, and load return jacking cylinders. 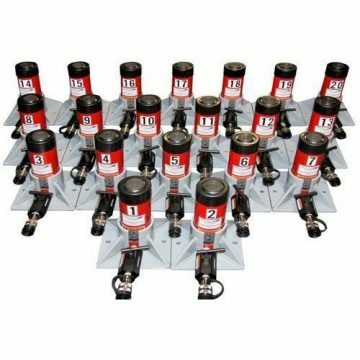 Choose from lock-nut styles, double acting and through hole models. 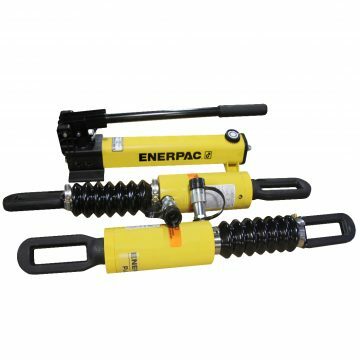 Our jacking systems also offer solutions for unique applications with their lightweight aluminum and low profile, pancake design. Multi-port manifolds adaptable in increments of two. 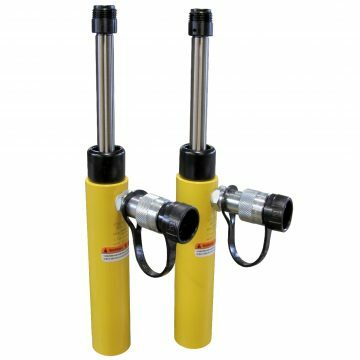 PC and PLC based options provide automated pressure and displacement control over all points of lift. 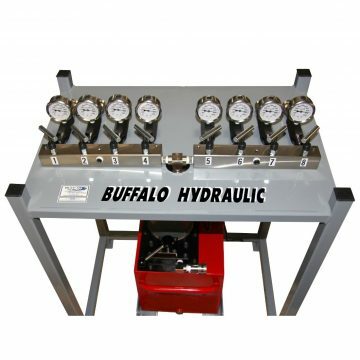 Pressure switch, pressure transducer and certified glycerin filled analog gauges are easily incorporated. 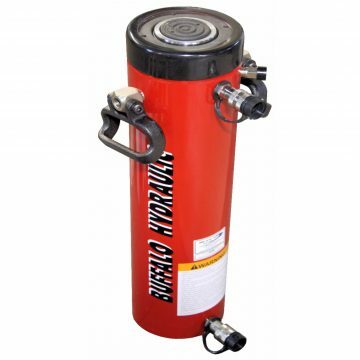 1-100 gallon fully baffled reservoir and heat exchanger options. 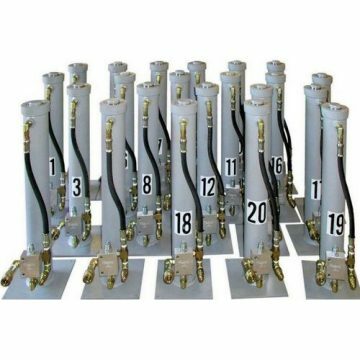 1 – 250′ hose lengths and high-pressure quick disconnect coupler connections. 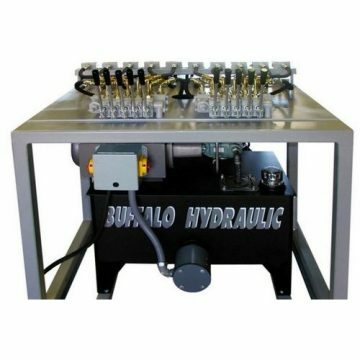 In order to find exactly what you’re looking for and how you can apply it to your unique project or application, please contact Buffalo Hydraulic. We have nearly 70 years experience in the industry and can answer whatever questions you may have. Please call us at (716) 893-6510 or contact us today!